In late July, I received a phone call from past president Fred Feistmann informing me that Executive Director Matthew Francis had resigned for personal reasons. An interim director was needed. I agreed to fill the role until a permanent Executive Director was found. I had thought I was firmly ensconced in retirement though. This past spring, I sold my Cultus Lake home and moved to Hope. Fred’s call came before I even had a chance to unpack everything. Well now more than six months have passed and I have found many changes. Most notably, there’s an entirely new staff. And I couldn’t be more impressed. Yvonne Contreras fully embraces her role as the administrative and volunteer coordinator. She has an easy rapport with our volunteers, great decision-making skills and the ability to see what needs to be done or changed to improve procedures. Anna Irwin, who was only appointed as Curator in May, jumped into a partially-completed project and grasped all the tentacles to make it a success. The project, funded by the Canadian Museum of History, was to produce a web site centred on the history of Chilliwack’s Chinese community. As of January 15, the site was live, complete with French translations. Tristan, our Archivist, is now the senior member of the staff. Recently, Don Luxton who prepared a detailed conservation plan for the second floor former council chambers in the fall, asked us to do a deep search of our archives in search of pre-1950 and preferably pre-1920 photos of the interior of the room. Tristan found additional photos that add to the documented evidence already found. He has an amazing grasp of the extent and richness of our archives collection, which is a huge positive for researchers. You can also see interpretation signs at the Elk Creek Trail and on the Rotary Vedder Trail, the result of Tristan’s work. Sarah Belley was hired in early September to become the Education and Community Engagement Coordinator. This meant immersing herself in the content of our school offerings while editing and printing school programs, and attending events. In December alone she saw 24 classes participate in our school programs. And of course, there’s our dedicated care of volunteers and part-timers that keep the place running. What a refreshing group of talented minds. But all good things come to an end. My retirement looms again. Shawna Maurice, formerly the Manager of the Lloydminster Saskatchewan Cultural and Science Centre, is the new Executive Director. Please see below for a profile on Shawna Maurice. 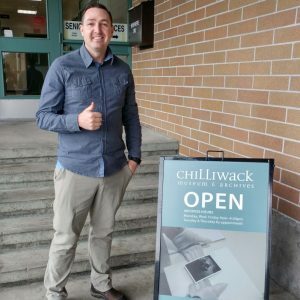 A new energetic young staff, an active and enthused Board of Directors and a champion at Chilliwack’s City Hall, Ryan Mulligan, Director of Recreation and Culture are all the ingredients needed to see the Museum and Archives into the next decades. I feel good retiring again. Thank you everyone for making this latest work stint so enriching. In early January, Shawna Maurice, her husband Eric and their two children left Lloydminster Saskatchewan in bitterly cold -42 degree weather, arriving a couple of days later to the usually balmy (it’s all relative) Fraser Valley. Shawna was interviewed in October and was offered the position of Executive Director of the Chilliwack Museum and Archives. Shawna, who grew up in Grand Falls, Newfoundland, traveled a long road to get here. 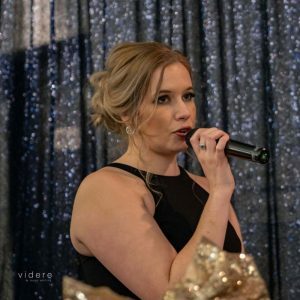 Since 2010, she worked at the Lloydminster Cultural and Science Centre where she rose to become Manager of the facility. She holds a BA in Anthropology and History as well as a graduate diploma in Heritage Management, degrees from the University of Alberta and Athabasca University respectively. For Shawna, history is about change and tying the past into the present and future. Making museums relevant for today’s audiences is a focus for her approach to museum work. And it’s an approach that the Board of Director endorses. The next generation is here and along with Shawna and the rest of the staff you can expect great things. 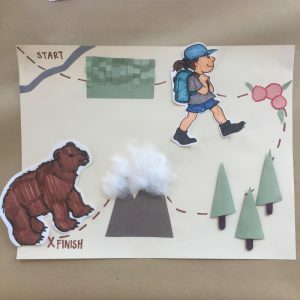 Mountaineers Bear Hunt craft taught at the July guided family craft sessions. This past summer I had the pleasure of working the Education and Engagement Assistant position through Young Canada Works. 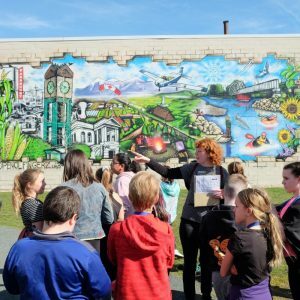 Some of the things I learnt include different events in Chilliwack’s vast history, how a museum operates, and many instructional techniques that will benefit my future career in teaching. When I first started at the museum, the Mountaineers exhibit was being prepared to open. During the preparation for the exhibit opening, I learnt not only of Chilliwack’s historical relationship with the mountain ranges in the area, but also, the techniques and mechanics that are required to produce an exhibit. For example, for the exhibit to open, the lights must be rearranged to highlight the texts and artifacts. Along with the other summer student, Alec, I worked to reposition current lights and add light fixtures to ensure the exhibit features were clearly visible and shown at their best. After adjusting the lights, I had a new understanding of the meticulous work that had to be completed before opening an exhibit. Thus, my appreciation for the staff at the Chilliwack Museum and Archives increased. One of the projects I worked independently on this summer were the family craft drop-ins that I led each Wednesday in July. Although the craft dates took place in July, I spent the majority of June researching Chilliwack’s history and finding a craft to associate with the topics I discovered. Once I had selected four major themes, Mountaineers, Chilliwack Flying Club and Airport, British Columbia Electric Railway, and Chilliwack Fair and Agriculture, I started planning related crafts. In addition to preparing interesting crafts for elementary aged children, I created matching and true or false games using historical photos from the archival collection at the museum. Although I would not consider myself a crafty person, I enjoyed creating and teaching crafts that reflected Chilliwack’s history. Another important part of my position at the museum were outreach events. Outreach involved working at different community events throughout the summer, such as Canada Day and Party in the Park. 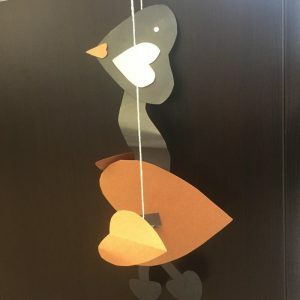 At Canada Day, I had created and prepared Canada Goose parts out of construction paper for children to build and turn into a marionette puppet. During the outreach events, I learnt about the community’s different interests in Chilliwack’s history and was able to teach, using the games and crafts I had created, about some of the captivating topics in Chilliwack’s past such as the flood of 1894. Although my time at the museum is about to end, I will continue to use the historical knowledge and experiences that I have received while working at the museum throughout my education, career, and personal life. I have gained a new appreciation for Chilliwack after leading walking tours, assisting in educational programs, and teaching crafts. Sharing the details of Chilliwack’s past, the architecture, the environment, and the people, has truly allowed for both my education and appreciation for the area to flourish. New Curator at the Chilliwack Museum and Archives! In late June 2018, we welcomed a new Curator to the staff of the Chilliwack Museum and Archives. 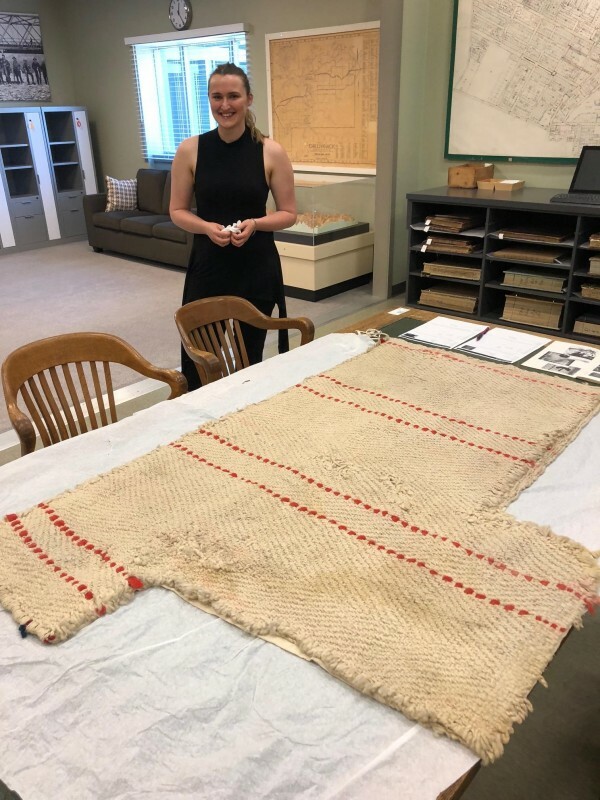 Curator Anna Irwin with a woven Salish blanket from approximately 1830. I am delighted that Anna Irwin, who takes on this key role, has long called Chilliwack home. Anna takes over from Jane Lemke, who accepted a new position with another great B.C. Museum, and from Adrienne Rempel, who served as Curator this past year. 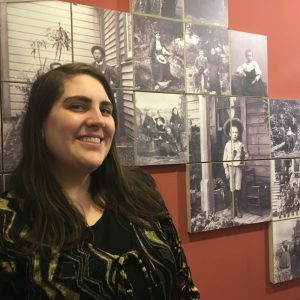 An award-winning graduate of the University of the Fraser Valley’s History Program, Anna has also completed the University of Victoria’s highly regarded Professional Specialization Certificate in Collections Management, with a focus in Curatorial work. She is no stranger to the Museum and Archives, as she has worked part-time with us for the past few years. Until recently, Anna served as Program Manager at the Trethewey House Historic Site in Abbotsford. Anna brings creativity, knowledge, and energy to the curatorial role. Executive Director Matthew Francis recently had the opportunity to speak with Anna about her new work. 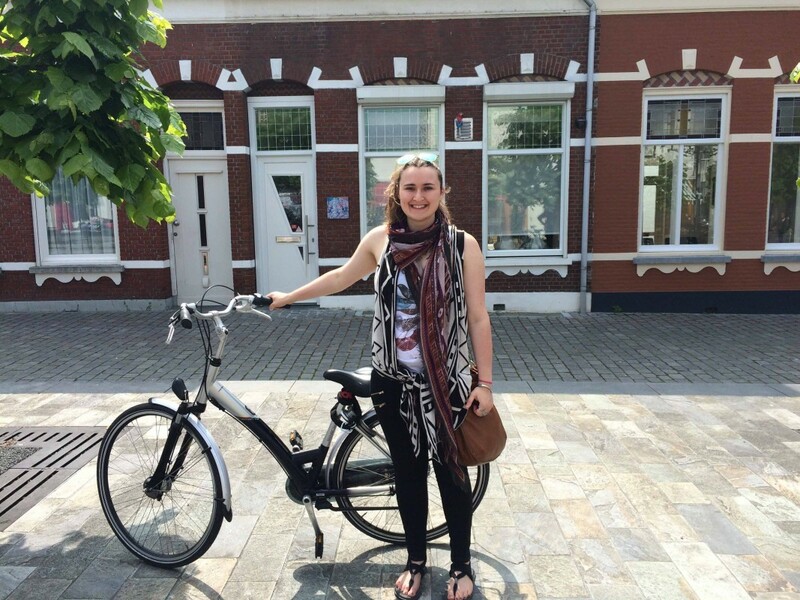 Q: Anna – thanks for taking the time to speak with me, and to share about yourself and your work. What are some of the things you appreciate about Chilliwack? There are so many things to love about Chilliwack but one of my favourite things about Chilliwack are the local mountains. While I have lived in Chilliwack (almost) my whole life, I did not realize how much I took our local mountains that surround us in the Fraser Valley for granted until I left to briefly study French at l’Université de Sherbrooke during my undergraduate degree. While the experience was fantastic (and the food and people were absolutely delightful), one of the things I noticed was that I became nostalgic over our local mountains. The mountains in the Fraser Valley, such as Mount Cheam, are much larger and are found much more frequently than mountains in the Eastern Townships. When I looked out onto the Sherbrooke horizon one day from the window, it felt empty and incomplete. At the time, I couldn’t quite place why I felt the way that I did, but upon returning home a few weeks after looking out the window, the answer became quickly apparent. The mountains are a source of familiarity and comfort that define “home”. I feel so lucky to have the opportunity to live and work in a place where they are so readily seen from almost any place in the City. We truly live in one of the most beautiful spots in the world. Q: What initially interested you in working in Museums? My interest in museums originally spurred from two things: a sharp interest in learning about the local community and a love of working with people. In museums, these two things often work well in tandem – one of my absolute favourite things to do is to either talk to visitors about what they remember about Chilliwack from decades past or to delve into the local history literature and archival material at the museum to learn about obscure or quirky stories from our past. Stories are the lifeblood of any museum and object collection. Without the story about why an object is significant and related to a community (otherwise known as provenance), an object is just that: an object. The stories and people that are associated with artifacts can be just as – if not more, in certain instances – important than the artefact itself. They provide context where needed and allow us a window into the past. For example, a cardboard checkerboard with tidemarks without additional context remains a cardboard checkerboard with tidemarks. While it may, in certain instances, be possible to learn about the year the board was made and where it was produced, the stories pertaining to the checkerboard do not exist and, in some instances, have been lost. Stories allow us to know who used the checkerboard, to learn what caused the tidemarks, to learn where the checkerboard was used and from all of that, allow us to see how the checkerboard fits into the larger swath of Chilliwack’s history. Research, interviewing and having discussions with visitors and donors are all crucial in helping learn more about both the museum’s collection and Chilliwack’s history as a whole. Q: Some people may wonder. What is it exactly that curators do? Sometimes it may feel a bit mysterious. Can you help to explain what it is that curators do? Curators work primarily to preserve and share tangible history. While this may sound fairly succinct and straightforward, the position has many broad tasks, including cataloguing and housing new donations to the museum’s artefact collection, assessing integrated pest management strategies and environmental conditions of both the museum and the archives facilities, assisting visitors at the archives, researching upcoming exhibit themes, connecting with community groups for exhibit research and consultation, designing graphics and exhibit labels, and more! While most of these tasks relate to collections management or exhibition development and the extent to which each are pursued on a day-to-day basis, all play an important role in ensuring Chilliwack’s history can be passed on to and enjoyed by the public and future generations. Q: Anna – what is your favourite part about being a curator? While I truly love the “Jack of all trades” nature of being a curator (to quote one of my predecessors, Jane Lemke), my favourite part of being a curator is working with the community to develop exhibitions. As one of my mentors used to tell me “it takes a village to raise an exhibit” and this is a concept that I wholly live by – exhibitions are concepts built with the help of the community and offer a forum for local voices, both historic and contemporary, to come alive, come together and be heard through archival and object collections, interviews, and active consultation and discussions with local groups and community members. While a significant amount of research and preparation for upcoming exhibits is conducted “behind the scenes” by staff members, these local voices truly make the exhibit a reflection of its community and allow visitors – particularly those from Chilliwack – to feel an increased sense of ownership and participation in the exhibition development process. Continuing to develop this relationship while bridging the past and present in the museum’s public spaces is something I am very much looking forward to, as we gear up for our new exhibit centered on music, set to open in early 2019. Q: So what are you looking forward to the most in your new job as Curator at the Chilliwack Museum? I may have accidentally answered this question in the previous question, but in addition to working with the public during the exhibit development process, I am very much looking forward to working with the collection. While I studied collections management at the University of Victoria and have worked with artefact collections in the past, most recently I have been working in programming as the Programs Officer at Trethewey House Heritage Site, leading educational programs and running the volunteer and membership programs (amongst other things!). Having the opportunity to shift gears and actively work to preserve Chilliwack’s extensive and rich artefact collection (especially in my hometown!) is a true honour. Q: What’s one fun fact about you that people may not know? For the past few years, I have been working on watching or collecting as many covers of Nirvana’s “Smells Like Teen Spirit” as I can find. It’s a slightly obscure and very specific hobby. That’s amazing! I’m even more excited for our upcoming music exhibition now! Thank you so much, Anna, for taking the time to talk. We wish you all the best in your work as Curator at the Chilliwack Museum and Archives. What’s Behind the Locked Doors? Today I would like to use this opportunity to promote a new event here at the Archives. Starting this year we have been having free behind-the-scenes tours of the Chilliwack Archives. The free tours are open to everyone and take place on the last Friday of the month. Hint, May 25th for this month. Each tour runs between 45 minutes to an hour. Are you curious what we are hiding behind those secret archive doors? Ever wondered where I disappear to when you request to view a fonds or photograph? Are you a long-time history nerd with serious questions and you want to know more about our local collections? Come to the tour. Are you brand new to the history field and just looking to see what all the hype is about at the Archives? Come to the tour. The tour is open to everyone, no previous research experience required. Seriously, it is a really great opportunity. I know that I’m not alone when I say I love visiting archives. Sure museums are fun, but how often do you get to see behind the scenes? You will be rewarded with the opportunity to explore how we catalogue and preserve archival records and cultural objects. 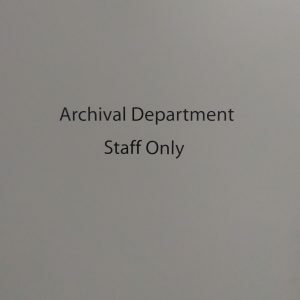 At most institutions you are lucky to peak behind an archive door and glimpse a view at the secrets of the archival world. These glimpses into the mysterious world of an archivist are usually reserved for special occasions such as “archives week” or “culture week.” Not here at the Chilliwack Museum and Archives. 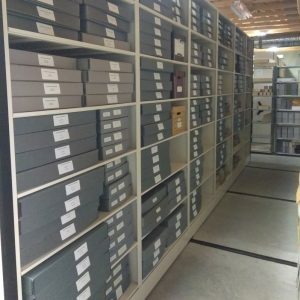 We are very fortunate here in Chilliwack to have a large and diverse collection of archival records, artifacts, and cultural objects for a community of our size. My job is to preserve these archival records; but also, to make them available to the community. So please, stop by on the last Friday of every month, 3:00 PM, no RSVP! Okay… Maybe I slightly misquoted that last one and perhaps exaggerated a little bit. In all seriousness though, these tours are great. I really hope to keep them going and they are something that very few institutions offer. Generally speaking, the public is forbidden to go behind-the-scenes of an archive. These tours tear down those restrictions. They make my job less of a mystery to you, the public, and they are a perfect opportunity for you to ask questions you may have about our collections or general Chilliwack community history. I really hope to see you on May 25th or any other last Friday of the month. In December we posted a blog about a new education project we would be launching in the spring. Now that the Classroom in Residence pilot project has wrapped up, we can share a little more about our experience and the activities students participated in during their museum residency. Students learning about Chilliwack’s historic downtown and making comparisons between the old and new architecture. 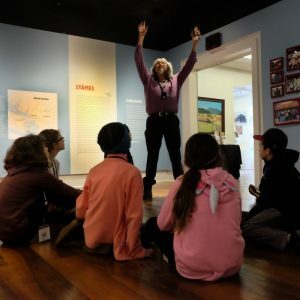 The Classroom in Residence Project is different from other museum education programs in that it is week-long and immerses students in the museum, Chilliwack’s history and community. We hosted two elementary school classes during the pilot project. The students learned a lot and made strong connections throughout the week, and we also learned a lot from them too. These two pilot classes have helped lay the foundation for the project moving forward and have also demonstrated the value of the project to School District #33. Each day students participated in different activities in the community and at the museum. In the afternoon students were given time to slow down and reflect on the mornings events in personal journals. This kind of open ended assignment not only helps build students’ critical thinking, writing and drawing skills but also allows them to document their learning in a personal way. This balance of learning new things, (and having new experiences) making connections with what has been learned in the classroom while taking time to slow down, reflect and consolidate learning is an essential aspect of the project. What did the week look like? Day One: Students were given an extensive museum tour and shown around Chilliwack’s Historic Downtown. Day Two: Students spent the morning at the archives learning about how material culture informs us about time, place and culture and the importance of preserving and having access to local documents. Students also used primary sources to examine land settlement over time in Chilliwack and learned how to conduct basic local research. Students using primary sources to look at land settlement and development over time in Chilliwack. Day Three: Guest speakers from Stó:lō Nation and Sq’éwlets Fist Nation discussed the current exhibit and other aspects of Stó:lō culture and history such as transformation/ origin stories and the impact of residential schools. In the afternoon students visited the library for a tour and an introduction to all the activities and learning resources available at no cost. Day Four: Students were given a behind the scenes tour of The Chilliwack Progress’ newsroom and learned about local news from their award-winning journalists. Later, students created their own group newspaper, basing production on what the Progress’ team taught them. Day Five: Museum staff gave a lesson on exhibit creation/design and students mocked up their own exhibits for the museum. Students finalize their best journal entry from the week and installed their own exhibit out of their entries (come by the museum before June to see it!). That afternoon, students hosted an open house for their parents and School District staff where they gave museum tours and showcased what they had been learning throughout the week. Students captivated by (Albert) Sonny McHalsie’s story telling. At the end of the week students were excited about all the new discoveries and connections they made in their hometown, and they wished the residency could have lasted longer. Students came away with a strong sense of place and a deeper understanding of many topics because of their unique experiences. Learning first hand from important Stó:lō community members and Elders allowed students to truly understand the hardships this community has faced, but has also given them a sense of the beauty and strength of Stó:lō culture. Learning behind the scenes at the library and newspaper gave students insight into how these institutions meet the needs of our community and contribute to our sense of place. Learning about Chilliwack’s past and present helped participants feel connected and more invested in our community. Program participants could see the museum (and all museums) as a place for living culture where there are links between the past and our contemporary environment. These collective experiences instill curiosity and a love of learning and we feel strongly that the students we have worked with will become life-long learners who are invested in their community. My time at the museum as Classroom in Residence Coordinator has whizzed past me because of the fun, challenging and dynamic nature of the position. Everyday I learned multiple new things about myself, Chilliwack’s history and community, education, museum practices and more. I have been interested in pursuing a career in education outside of the traditional classroom, being unsure of what form that would take this type of local and collaborative approach to education has been eye opening for me. I can’t wait to see how the Classroom in Residence Project evolves over time- the possibilities are endless and the students that get to participate are truly lucky. If you’ve been to the museum in the last month or so you may have noticed a new face around the office. Lena Yacyshen has joined us as our Classroom in Residence Project Coordinator to help us launch a new education program this spring. Lena is joining us through the Building Careers in Heritage grant which helps to provide new graduates with work experience in heritage. She’ll be helping to coordinate this new project over the next few months. 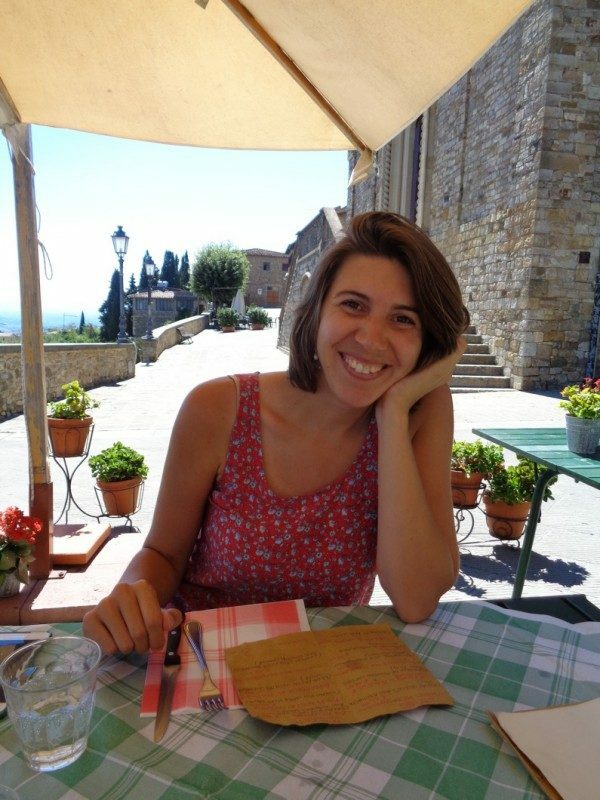 Lena Yacyshen is our new Classroom in Residence Project Coordinator. This new pilot project aims to offer local students and teachers a chance to move their classroom to the museum for a full week of school. The program is designed following the concept of the Campus Calgary/Open Minds programs in Calgary which have been using local locations as learning spaces for students for over a decade. The program brings a classroom into the museum for a full week of place-based and hands-on learning. Students will be interacting with the Museum and Archives collection, visiting community members and establishments, and putting what they have learned in the classroom to practical use. 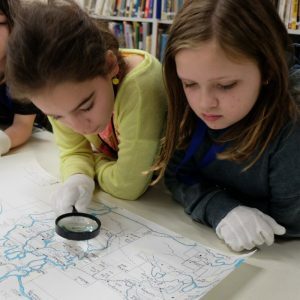 The program will aim to foster strong critical thinking and writing skills through careful observation of our local surroundings, while helping students to build a deeper understanding of their community. With our historic downtown and many community and cultural spaces close by, we will be able to learn, explore and reflect at these important spaces. During their week here, students will be focusing on slowing down and taking time to observe and reflect on their surroundings. Using journals to record their observations, they will have a record of their experiences at the museum and archives to use for further learning back at their schools. By the end of their residency, they will have a strong understanding of Chilliwack’s rich history and of the variety of places they can explore within their own community. Students will be using journals to record their observations. Over the next few months, myself and Lena will be getting ready to launch the pilot program. We are working with two SD33 classes alongside the classroom teachers to develop an engaging program for the residency. We’ll be pursuing funding opportunities to bring the classes here for little to no cost and we’ll be looking to connect with the community to expand the reach of the pilot. Learning from other successful projects such as the museum school program at the Sunshine Coast Museum and Archives, the Beyond Classrooms network in Kingston, ON and the Museum School network in London, ON, we’re hoping to be able to open the Classroom in Residence program to more classes in future years. Find out more about the educational theory behind the Classroom in Residence program by checking out this post by long time educator David Barnum for the University of British Columbia: http://teljournal.educ.ubc.ca/2017/05/open-minds-constructing-learning-in-the-community/ . Recently our Executive Director, Matthew Francis, had the opportunity to catch up with Adrienne Rempel, who was recently hired to serve as Curator in a one-year temporary role, during our Curator Jane Lemke’s maternity leave. Here’s an opportunity to get to know more about Adrienne. Hi Adrienne! You have been on the job as Curator here now for almost a month. How have you found your first few weeks? 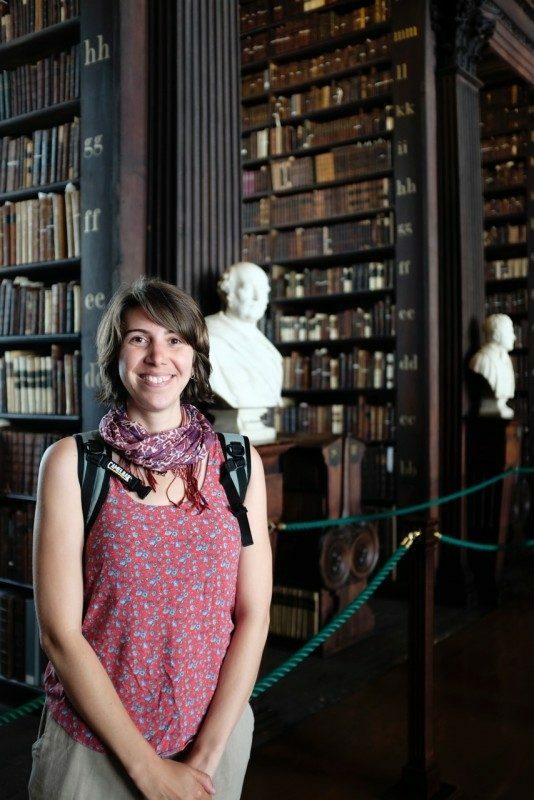 Curator Adrienne Rempel in the Old Library of Trinity College Dublin—home to the Book of Kells. I have thoroughly enjoyed my first few weeks at the Museum and Archives. 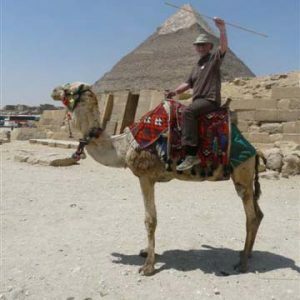 The staff and volunteers are incredibly committed and enthusiastic, and they possess a vast knowledge of local history. I am getting to know the Collection and its strengths, and am happily digging into the next round of exhibition programming. Before taking on this role, you had recently moved to Chilliwack from Vancouver. What are some of the things that attracted you to live in Chilliwack, and how have you found living in the community? Before I settled on Chilliwack, I left Vancouver for a five month backpacking trip in Europe. During this time, I found that while I enjoyed visiting large urban centres, I always felt more relaxed and comfortable in smaller communities. By the time I was nearing my return flight to Vancouver, I knew it was time for a change. I was attracted to Chilliwack for its natural beauty and closeness to nature. It’s also close enough to the amenities of the Lower Mainland, without being in the centre of it. It doesn’t hurt that it came highly recommended by my partner who grew up here. Immediately after moving to Chilliwack, I felt welcome in the community. People here take an active interest in each other, and are very supportive and friendly. I’ve also noticed there is a healthy amount of interest and growth in the Arts & Culture sector, which makes Chilliwack an exciting place to be! Can you share with us a little about your academic and professional background? What did you do before you started with us? My background is in the Fine Arts. I have a degree from Emily Carr University of Art + Design where I studied painting and studio arts, and after graduation I participated in numerous group exhibitions in the lower mainland. During this time I also worked and volunteered with various cultural organizations in Vancouver. I’ve always been drawn to the cultural, not-for-profit sector, as it offers so many opportunities for community engagement and arts advocacy. In the last handful of years, I found myself working in the Curatorial Department of the Vancouver Art Gallery, where I assisted in the planning and production of exhibitions and publications. You have rich experience in the visual arts, and were involved in planning numerous exhibits each year for the Vancouver Art Gallery. 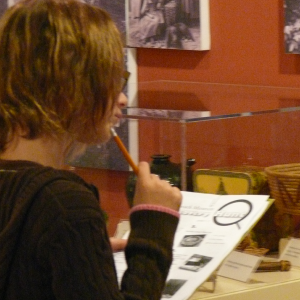 What interested you in working in a Museum context with a focus on history? How do history and the arts relate? As much as I love the unquantifiable aspects of art, I am also a huge art history and cultural theory nerd. There’s a saying in the arts, “You can’t make art in a bubble.” What this means is that everyone is influenced to some degree by the context of their time, be it political, social, economic, etc. In art history, we learn that Jackson Pollock, for instance, became an influential figure in the abstract expressionist movement not only because of his unique drip paintings, but because of the particular socio-political conditions of Cold War America. To learn about art, you have to learn history as well. The two are very connected. To take that idea into the museum context… I can accept that on a certain level, an art object is another form of material culture. One can look at any human-made object, from the first Fender Stratocaster, to an Etruscan vase, to a handmade roadsign, and start to wonder, “Why was this made?” Searching for that answer can be endlessly fascinating. I am a curious person, and the museum experience is a great way to learn about our world. What are some of the things you are looking forward to in your work at the Chilliwack Museum and Archives this year? I am really excited for the upcoming exhibition program. 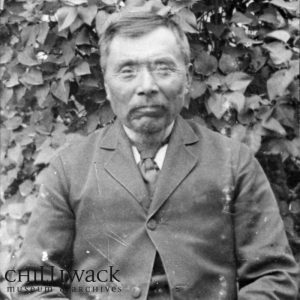 This summer the CMA will launch an exhibition, Gold Mountain Dream, that explores the history of the first Chinese immigrants in British Columbia. This presentation will be in partnership with the Royal British Columbia Museum in Victoria, and will include some very important locally developed content. As I am new to the community, it has been a positive experience to dive into the region’s history. In the coming months, I look forward to developing my understanding of Chilliwack, and building connections in the community. Thank you, Adrienne, for taking the time to talk with us. We are looking forward to a great year ahead! Adrienne Rempel, Curator, can be reached at (604) 795-5210 ext. 105 or by email at [email protected].